What does not look so great is the fact that I found a tear in the fabric of the quilt top while I was working on the new binding. Now I am sad and worried about submitting the quilt for entry into anything. The quilt has not been washed, nor do I plan to wash it. I had been planning to display and show the quilt if it could get accepted into shows, so I don’t think there is a high risk for the small tear to grow. It is about a quarter of an inch long, and the quilt is about 60 inches square. I am quite sad about this and wondering if anyone has any advice or suggestions. Should I try to fix it? Leave it as is? Should I still submit the quilt to be shown? Thanks in advance for any advice or input you can provide! Linking up to Monday Makers (button to the right). Oh no! I haven’t come across something like this before, so I’m no help sorry 🙁 But I hope someone clever has a solution for you! My only (novice) thought would be to add more quilting to hold it down and help prevent any more wear … but I’m not sure if that would effect of the quilting you have already done? Yvonne, I would add just a few mending stitches by hand keeping your threads going with the grain of the fabric using the finest cotton thread you have (I’m thinking Aurifil 50 wt). The chances of the area showing up in a photgraph for jurying OR a judge actually seeing it are very slim. I think a repair would be less noticable than leaving as it. Fix it, photograph it and enter it! Good Luck! That’s such a shame and very annoying. I’m not sure I’m much use here, since I’ve never investigated trying to enter quilts into shows. Purely separate from the show, if it’s a quilt that’s actually going to be used and washed (as opposed to one hanging on a wall), I think I’d try and do a bit of mending just to stop the tear worsening over time and preserve the life of the quilt. It doesn’t look like it’s something you can applique anything over, so the only other thing I’d suggest is some very careful and fine darning in matching thread? Or is there any chance you could add a couple more quilting lines that cover the tear a little more – probably not though I’m guessing from the little peak you’ve given us. Hope you find something that helps. Sorry to read this. What a drag to get all the way to the end and then notice a tear. Sorry I’m no help with a solution I’ve only submitted to my local guild. Oh no that’s terrible, especially for a brand new quilt! I would probably just put from fray check on it…but for a show I’m not sure what I’d do. I saw on IG recently someone had a large tear (maybe half an inch) and most people suggestion appliqueing a little heart patch onto it. I don’t think that would work on this quilt though (hers was a bright and busy patchwork). I would think it is still worthy of submitting, even if you do nothing! Yvonne, Oh 8@!!! There are a few things you could try. Bonash makes a powdered fusible which you can sprinkle into the tear and fuse together with an iron. They offer a beginner kit, which is well worth the money which includes the special silicone sheet. Do not use Fray Check because it will discolor over time and with light exposure. You could also try darning the hole, disguising it with some hand embroidery, or covering it with applique. 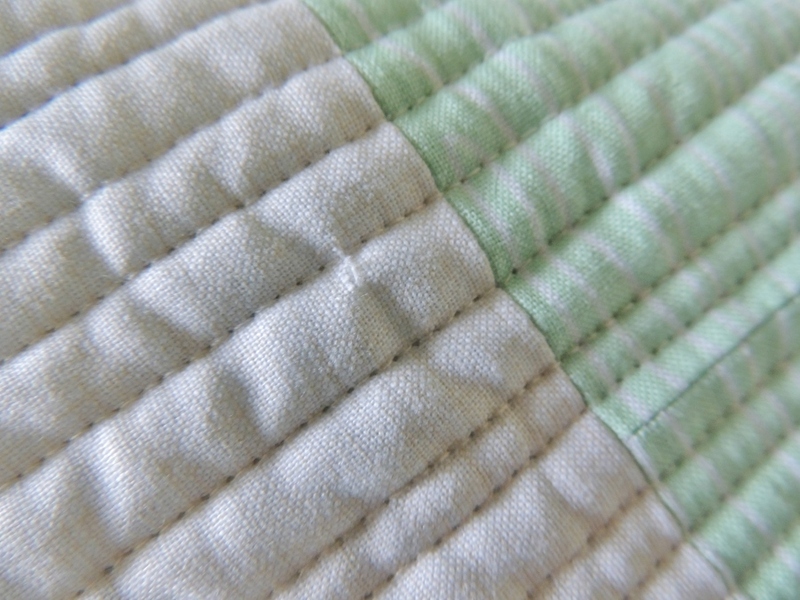 For modern quilts, the Bonash product would be the least visible. (I am in no way connected with them, just like their product.) Good Luck!! This was such a helpful comment! I enjoy learning in the comments , and I’ll keep Bonash in mind. Thanks! I had the same issue on a recent quilt. If the tear is in a smaller section of a block rather than a large section of negative space, I had great luck appliqueing the same fabric over the tear. You can’t tell that there was ever a tear and the bulk from the lightweight fusible is barely noticeable. The picture looks like it is a larger section and applique might not work, but during my panic I read a lot of great things about the powdered fusible that Lovelli Quilts mentioned! Since it is for display and the tear it is so small, I hope there is a way to fix it or at least hide it well enough to show! Oh no. It doesn’t look so big but it may fray and grow. I hope you’ll find some solution like the fusible something someone suggesting. Good luck! If you can, slip a tiny piece (just bigger than the rip) of Misty Fuse (or some other lightweight fusible web – no paper backing) between the batting and the top layer of fabric where the rip is. Position the rip so it is closed (edges touching) and flat and looks natural (not skewed or straining), and fuse into place. If you do this carefully and successfully, that may be all you need. If you need more security, apply a bit of Fray Chek on the raw edges of the tear. First, TEST the Fray Check on a scrap to make sure it will dry nicely on that fabric without showing. Use it sparingly. It is a permanent way to keep the edges from – well – fraying! Good luck! I’ll bet if you can do a tidy repair on such a small tear nobody will even notice it. In the past I have either used thread to close it, or appliquéd over small rips. I would be hesitant to just leave it. Hope you figure it out. I agree with my friend, (the other) Carole above, work a tiny bit of fusible web under it and iron it down. Fray check on the top will show as a dark spot, and will actually call attention to the tear. If you do this carefully, and iron it down, it won’t show enough to be noticed. Yes, enter it!! Argh, no fun 🙁 I’ve never entered anything but the many suggestions to darn with very thin thread sound good. Try some of the mending suggestions above and then enter it! They can say no but you’ll don’t have a chance for yes if you don’t submit. If on the back – a strategically placed label will fix it. On the front, it is not so easy. Here is where the modern minimalism comes unstuck. In the old style, you could applique or embroider something on it! Do try to fix it. One day you will want to wash it, and you do not want your precious work fraying – show or no show. I’m so sorry that this has happened. And I thought my label issue was difficult to get through. Yikes! I wish I had something to offer, but I don’t know anything about entering quilts into shows. I am very interested in learning more about that powdered fusible, so I’m glad that Lovelli Quilts mentioned it! Good luck with this, I hope you find a great solution and are able to enter this into the show! I can’t wait for the reveal! Oh, I’m so sorry about the tear. That can be so disheartening. I’m sure by now you have your answer, but I just wanted to add that I used to hand quilt quilts for a fiber artist who salvaged parts of very old disintegrating quilt tops to make new quilts. We often had problems with fabric tearing as I quilted it–it was so brittle. I used the thinnest fusible interfacing I could find, with the fusible glue on only one side. I rolled up just enough interfacing to fix the tear and poked it through the tear. Then I unrolled it using a straight pin, covered the area with piece of muslin to protect it, and gently used the point of an iron to fuse it. 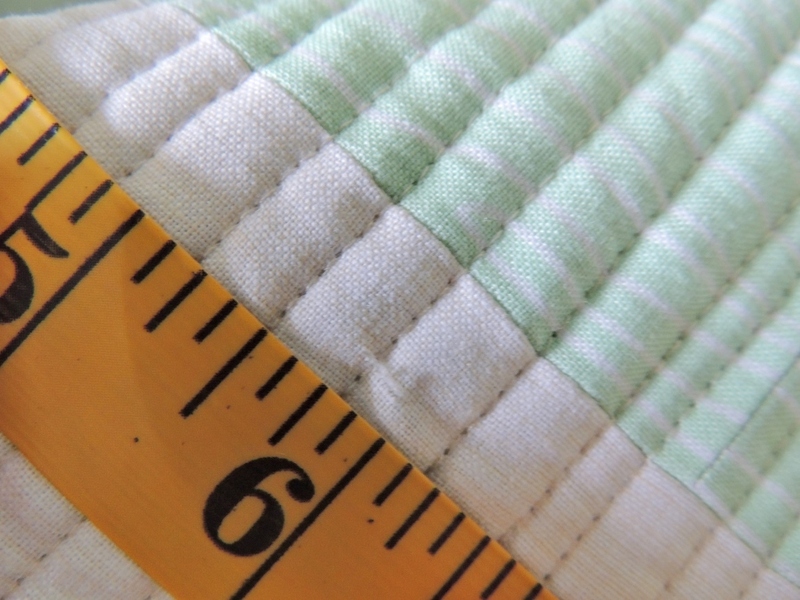 I did not use double sided fusible because I wanted the fabric to be able to move around like the rest of the quilt fabric–not stick to the batting. This repair seemed to work very well and was not noticeable at all. And of course, these fragile quilts would never be washed. I hope you’ve found your solution and that you are able to enter the quilt.